"Well my friends and I decided to go with a Prohibition theme this year , so we had a bathtub with gin and lemonade and we're all dressing up Prohibition-era." 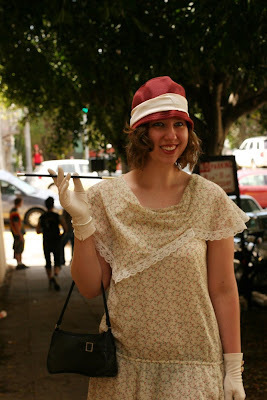 I'm always taken in by a dropped waist and a cloche hat. Shoes that are a bit more practical then their 1920s equivalent. 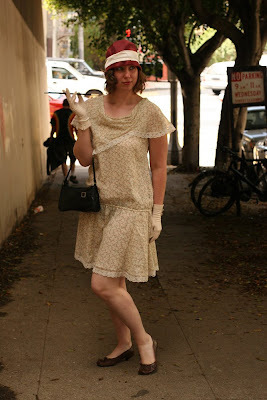 oh i love 20's style. i just bought a drop-waist dress on ebay myself, it was a bargain!